Every time I reach for my phone, a Cuban flag stares back at me. But it’s not just the red, white and blue that captures my attention, but the memory it evokes - a steamy morning overlooking the Havana streets from a palatial balcony, old time Chevys and locals crossing hurriedly along. As Havana rebuilds and Cuba’s revolutionary leader has passed on, a tempestuous history remains. To best understand Cuba’s post-revolutionary times as it further opens to the world, you should make your way towards Museo de la Revolución. 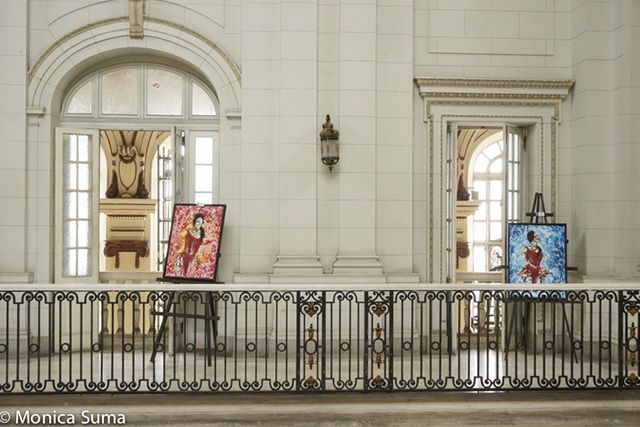 Housed in the former Presidential Palace last inhabited by the ousted Fulgencio Batista, the Parque Central landmark serves two purposes: of architectural grandeur and thorough historical account. A spectacular palace both inside and out, el museo is one of Havana’s major National Monuments to be recently restored, alongside the iconic Capitolio, an honest replica of its U.S. counterpart, and the superb Gran Teatro across the street, where earlier this year President Obama addressed the Cuban people. Oozing the opulence of half a century ago, perhaps the most impressive aspect upon entry is the main Carrara marble staircase. New York’s world-famous Tiffany & Co. decorated the interior, with pieces by prominent Cuban artists Armando Menocal and Antonio Rodríguez. Those with a love for Paris will feast their eyes in Salón de los Espejos (Hall of Mirrors), designed to resemble the original one at Versailles, the biggest lure for visitors in visiting the palace. Following the triumph of the Revolution in 1959, the building became the premise for the Government and Council of Ministers, where in 1965, the Central Committee of the Communist Party of Cuba was formed. It only became a museum dedicated to the Cuban Revolution in 1974. 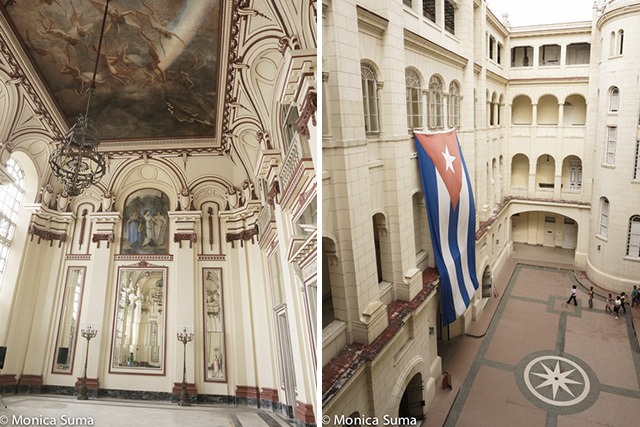 The museum is best seen descending chronologically from the top floor, starting with Cuba’s pre-Columbian era to the present-day socialist regime. You’ll have the chance to learn more about the failed 1953 Moncada attack in Santiago de Cuba, as well as about the revolutionary idol Che Guevara, including his famous pipe. Behind the museum, you’ll notice the Granma Pavilion, a memorial dedicated to the 60-feet yacht that carried Fidel Castro alongside 81 other revolutionaries from Mexico into Cuba in December 1956. Next to the boat displayed behind glass, there are also planes, vehicles and weapons used during the Revolution against then President Batista, as well as those used in the Battle of Playa Girón (Bay of Pigs). The 8 CUC entry fee is rather steep for a Cuban monument, but what you get out of it is exponentially more than in any other. Despite the rather dense exhibits, come for the experience of walking through history and for some of the best Havana views from the museum’s balconies. 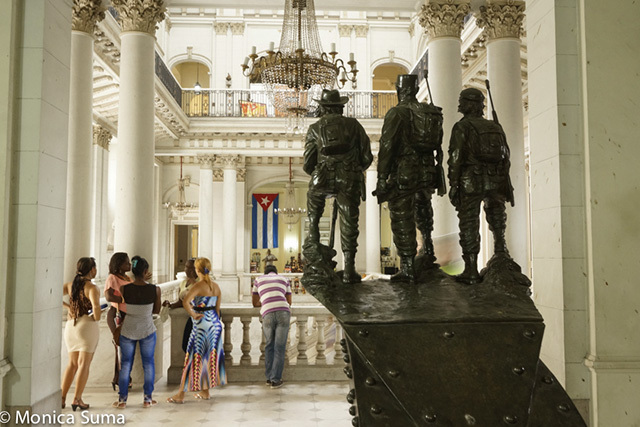 Visit the Museo de la Revolución on any of insightCuba's Signature Cuba Tours. By Monica Suma. You can follow her on Twitter @MonicaSuma. ...visited in March of 2015 and found the venue to be phenomenal. 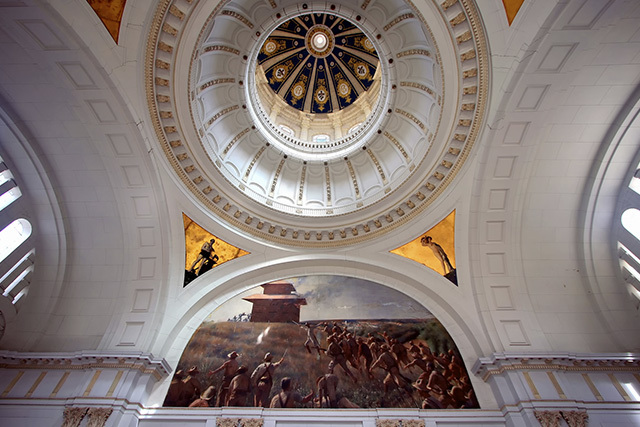 ...was with a group with limited time; thus I think and feel that I missed some of the substance of the museum as well as historical facts that accompany the preceding. Hope to be back in Habana within two months of this year for a time span of some 25 days. I hope to take full advantage of all places mentioned at your site as well as those of which I became quite fond of during my second visit two years ago.